On behalf of the Board of Directors, welcome to our community web site. Feel free to explore the features available to the public on this site. If you are a homeowner in our community, click here to log into the private side of the web site. If you have not been notified of your login name and password, please complete the Login Request Form. Please note that all log-in requests must be approved by the website administrator, so you will not receive your log-in information immediately. However, you should receive it within one business day. 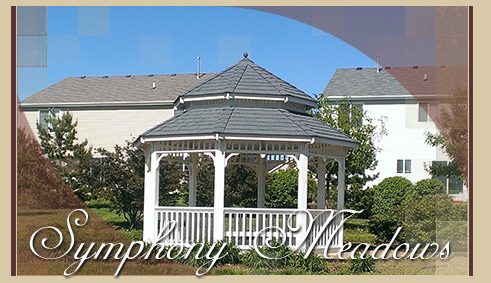 Symphony Meadows HOA consists of a mixture of Townhomes, Single Family Homes & Single Family-Attached (Duplex) Homes. The association is conveniently located a short distance from the Volo Auto Museum, Routes 12 / 59, 120 & 60. Symphony Meadows also has two public parks within the community. If you are looking for local businesses, schools, etc., check out the 'What's Nearby? section of this website, which will take you to a Google map of our area.